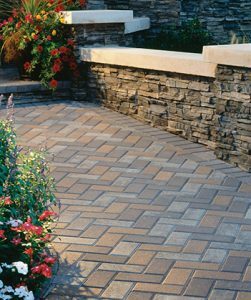 Masonry and stonework are essential components of any landscape. In fact, hardscape construction is completed in the first phase of the project. We know exactly which materials should be used in the work and how these features should be built. We focus on providing customized solutions that fit in perfectly with our customer’s desires. Masonry elements add to the beauty as well as the resilience of the landscape. In fact, across the world, there are a number of buildings that are still standing tall because of the solid masonry work that was used in their construction. This is a clear indication that hardscapes which are built using high-quality materials will always last for years to come without any trouble and will provide functionality too. When we handle any type of masonry job on your property, we are extremely particular about the kind of materials we use. This in combination with our high-quality workmanship ensures that you get very strong and sturdy hardscaping features on your property. We work methodically and provide tailor-made solutions that will be best-suited to your wishes and budget. Even as we maintain high standards in our work, we also maintain very reasonable masonry costs. If you are looking for a consultation to get started, simply give us a call at 617-396-4003. Or get started on your landscape design project today to discuss backyard landscape design options including stonework or masonry, or take a look at the other landscape design services we offer if you would like to upgrade to patio or driveway pavers.